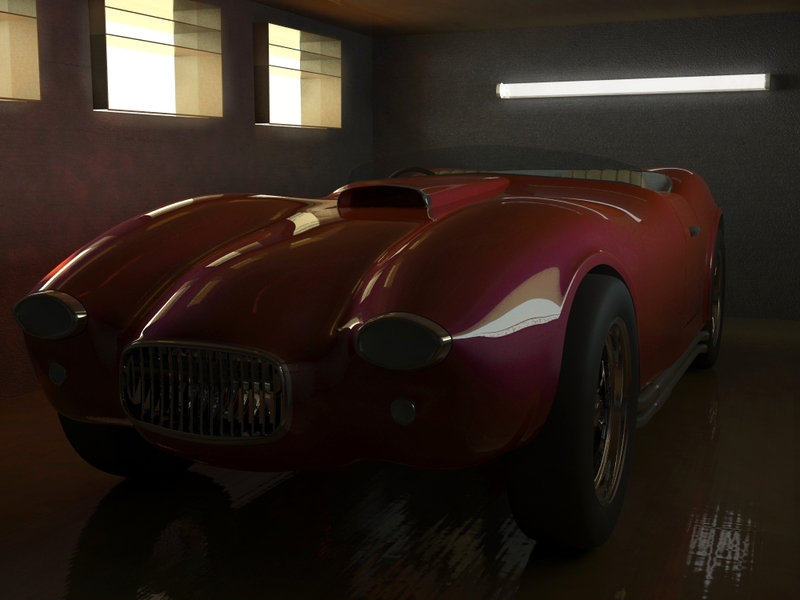 Modelled in 3ds Max rendered with Mental Ray. I know the tyres aren't very good but any other feedback would be lovely. I like to work with mr too. Your work looks nice but it would be easier to say something more if this scene would be brighter. It's definately too dark now. Have you been thinking about adding some volume light? Subtle rays coming from windows could give it nice atmosphere. There on the left wall it is some reflection or something is going on with GI? Did you add some bounces to FG? That looks stunning, though as other have said the lighting needs a bit of work.